Yes, the sun is shining, everyone is wearing shorts, and our minds turn to camping, boating, quadding, etc. What do all these things have in common? We use our diesel trucks to get there! Thankfully, along with the warmer weather, we’re finally back to the summer blend of diesel at the pumps, with the cetane we need to obtain maximum performance from our vehicles. 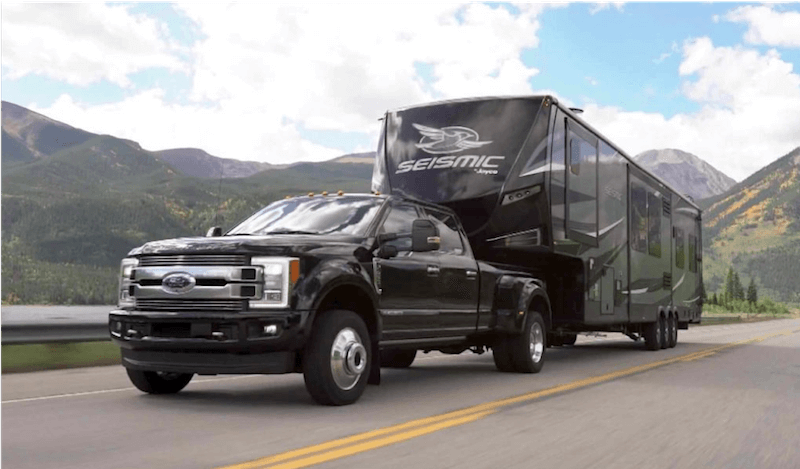 Towing is when you’ll really notice (and need) the extra power found in summer diesel, as compared to winter diesel. Note: for even better performance, consider adding Stanadyne Performance Formula or Alliant Power Ultraguard to raise your cetane level even further! Of course, we all know what comes along with the good weather. That’s right – high Vancouver gas prices (when writing this article, they were the highest in North America)! Less spent on fuel = more spent on memories. We talked about it in our last blog post so we’ll only briefly say it here, but there are so many benefits to diesel over gas the list is never-ending. Gas is more expensive to diesel in more ways than one, currently all across Canada diesel is cheaper than Gas. Diesel also lasts longer because it creates more energy in the vehicle, more energy = less burned = lasts longer = happy customer. If you’re considering a purchase or upgrade, consider buying a diesel. They’re clean, they’re quiet, they’re powerful, and considering the Vancouver gas prices these days, they’ll help you get where you’re going and still have some money left in your wallet!